Thom Gunn was born in Gravesend, Kent in 1929. He published his first book of poems, Fighting Terms (1954), while he was still an undergraduate at Cambridge. That same year, he moved to California and stayed there for the rest of his life, teaching at Berkeley and living in San Francisco. He published nine books of poetry, including The Man with Night Sweats, which won the Forward Prize for Poetry in 1992, and Boss Cupid (2000). 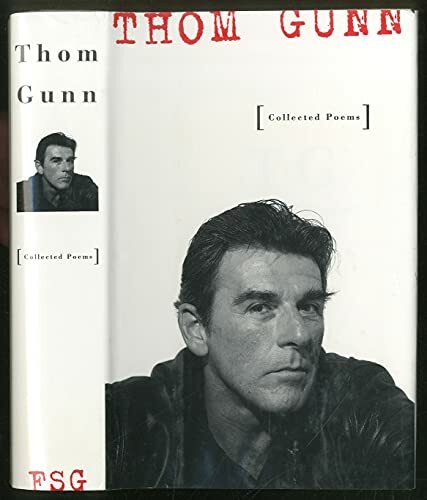 Gunn also published a Collected Poems (1994) and two collections of essays, The Occasions of Poetry (1982) and Shelf Life (1993). He was awarded many major prizes and fellowships from the Arts Council of Great Britain, the Guggenheim Foundation, and the MacArthur Foundation. Thom Gunn died in 2004.